The U.S. 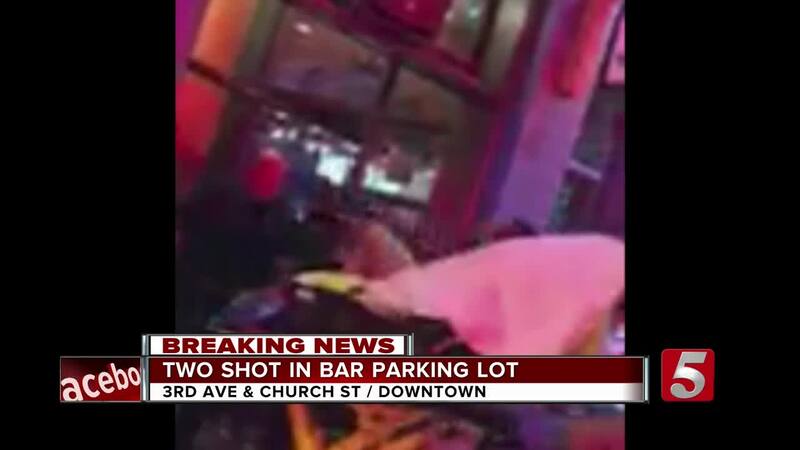 Marshals Service Task Force and the Wilson County Sheriff's Department arrested the second suspect in the double shooting outside Piranha’s Bar and Grill in downtown Nashville. Stephen Hughes, 30, was arrested in his Lebanon, TN home on Thursday, December 13. He was wanted by the Nashville Metro Police Department in connection with a shooting that took place in September. Hughes was jailed in lieu of $81,000 bond on charges of felony aggravated assault. During the incident, two men were shot around 2 a.m. Saturday September 29, in a parking lot in the 100 block of 3rd Avenue North. Witnesses said they heard eight shots. Police confirmed 21-year-old Zachary Anderson was arrested and charged with two counts of aggravated assault with a deadly weapon, reckless endangerment with a a firearm, gun possession while intoxicated, misdemeanor assault, and theft. Warrants were then issued for the arrest of 30-year-old Stephen S. Hughes for three counts of felony aggravated assault and one count of misdemeanor assault. Both Hughes and Anderson were reportedly on the second floor of Piranha's when they became involved in a fight with staff around 1:50 a.m. Saturday. Authorities said they pinned an employee against a wall before other members of the staff intervened, and they were escorted out and told not to return. Around 2:15 a.m. employees were outside the building on the sidewalk preparing to leave. That's when Hughes and Anderson reportedly returned, and witnesses stated Hughes pulled out a pistol. An employee then allegedly punched him in the face, and his gun fell to the ground. Anderson then pulled out a pistol and fired into the air. Employees began running away, and Hughes picked up his gun and started firing. One man was hit in the foot, and another man was hit with several bullets in his leg. They were taken to Vanderbilt University Medical Center with non-life threatening injuries. Two women in a parked car in the parking lot next door witnessed Anderson shoot into the air and said he then approached their vehicle and pointed the gun at them. Officers later found Anderson at the Hermitage Cafe on Hermitage Avenue, and he was taken into custody. A nine millimeter pistol was found in his pants pocket. It had been reported stolen. Anderson was being held in lieu of a $45,500 bond. Zachary Anderson, 21, was arrested on the morning of the gunfire and is free on $30,500 bond. He was charged with aggravated assault, felony reckless endangerment, and gun possession while under the influence of alcohol.